Just half a century ago, Dubai was a large but modest emirate in the United Arab Emirates. It began booming when it started to build up with revenue from the region’s plentiful oil supplies. Today, there’s a lot of development, with nearly 90 buildings that can be considered skyscrapers. Here’s a list of the 5 tallest buildings in Dubai, and what can be found inside them. Almas, or Diamond Tower was completed in 2009, and stands at 1,181 feet tall. It actually sits on its own artificial island in the Jumeirah Lake Towers area of Dubai, which is one of the reasons that this skyscraper took 4 years to complete. This is Dubai’s tallest offices-only building, with the chief tenant being the Dubai Multi Commodities Centre, the emirate’s chief dealer in precious gemstones. It was Dubai’s tallest building for 2 years between 2008-2010. Standing at 1,250 feet tall, and taking 6 years to finish, the Elite Residence tower is the 3rd tallest residential building in the world, with the other two also appearing later in this countdown. 76 of this building’s 91 floors house just under 700 luxury apartments, which residents can reach by using a few of this building’s 12 elevators. The other 15 floors have amenities such as a fitness center, a swimming pool, and even 4 floors of parking. This residential skyscraper stands at 1,289 feet, and units were in such high demand when this was announced in late 2005, that by the time construction began nearly four-fifths of its duplexes were already sold. The rest were sold in the 6 years it took to complete this building, which sits on the edge of the Dubai marina, and has several swimming pools. Each of the duplexes has its own elevator to get residents up and down, whichever they wish. Number two is the tallest residential tower in the world, standing at 1,358 feet tall. This building took 6 years to complete, and has 101 floors above ground, as well as 6 below ground. The below-ground floors make up an enormous parking garage with 957 spaces, while the above-ground floors have 763 luxury apartments, as well as several retail-outlets for the residents to shop in. But even this building is dwarfed by the tallest among the tallest buildings in Dubai. The tallest building in Dubai is also the tallest building in the world today. Standing proudly at 2,720 feet tall, this enormous tower took 6 years to complete, and is named for the Emir of nearby Abu Dhabi, and UAE President Khalifa bin Zayed Al Nahyan, for his support in the project. This 163-story building is a mixed-purpose building, including 10 floors used by the Armani hotel, 77 used for apartments, 35 floors of corporate suites, the world’s highest nightclub, the world’s highest restaurant, and the second highest swimming pool. Truly this is one of the world’s modern wonders. With so much development still proceeding in Dubai, this list could be out of date in just a few years, so check out some of the incredible Dubai all inclusive hotels to stay at while you visit these remarkable skyscrapers. Enjoy Dubai! The best time to visit The United Arab Emirates is not as easy as, “go when it’s cooler!” The best time to visit is based more on geography and the Muslim calendar. One must understand certain practical characteristics of this country. First of all, The United Arab Emirates is pretty much a desert nation and this unique biosphere could very much affect when travelers generally visit. Also, The United Arab Emirates is a Muslim country and there are certain special dates in the calendar that are subject to strict religious events. Knowing a bit about the country could add insight into your decision in when to plan a holiday to The United Arab Emirates. Most importantly, visitors should know their preferences better. Some travelers have upbeat and light-hearted personalities that prefer congestion and activity, while others prefer solace and privacy – all of which can be had in the UAE. 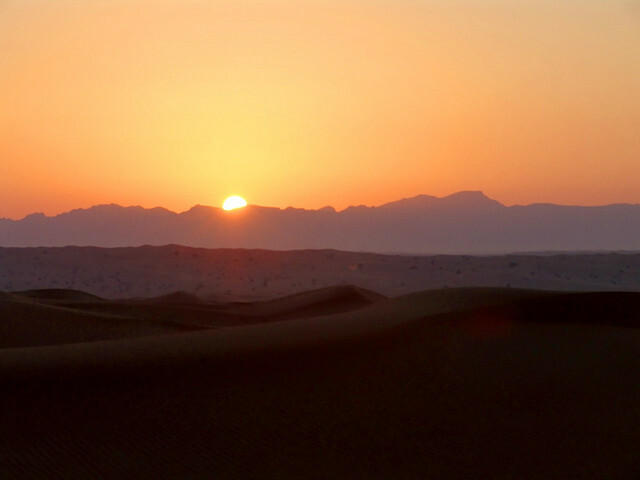 Here are some tips for when to choose to visit the United Arab Emirates! The best time to visit The United Arab Emirates generally falls between the months of October to May. It is during these months that the day time hours are quite enjoyable. Morning and middays have clear blue skies streaked with stratus clouds. Evenings are also quite warm, unlike winter season that temperatures can hover just above freezing. While the months of October to May are an ideal traveling time, the months of June to September are best avoided. July and August daytime temperatures can get dangerously hot and you’ll find many locals and tourists alike inside in the daylight hours. A popular daytime activity when it’s hot is heading to the mall and there are no shortage of spectacular ones in the UAE like Mall of the Emirates. Many hotels surround the malls for easy access like the specatular Kempinski’s Hotel – Mall of the Emirates. February is also a great time to visit The United Arab Emirates because this month has four important events. One can join the Abu Dhabi Film festival and view the country’s local movie productions. Dubai Desert Classic is a special golf event that appeals greatly to golf enthusiasts from all over the world. Other wonderful events are the Al Ain Air Show and the Al Ain Classical Music Festival. The latter event suits best the fans of Beethoven and Voltaire. December is another month that is busy with special national events. Film enthusiasts could attend the Dubai Film Festival and check out how the Arabian movie-making industry works. December is also a month dedicated to various exciting sporting events. The Dubai International Rugby Sevens serve the enthusiasm of those who enjoy the “sport of ruffians played by gentlemen”. Boat racing events are also popular including the UIM Formula One Power Boat Championships and UIM Class One Power Boat Championships. As mentioned earlier, The United Arab Emirates is an Islamic country. One should know that Muslims have a very distinct treatment of their own religion. There is no such thing as a category that separate the devout and secular. One should expect the sacred Ramadan month to be sacred for all. There are many restrictions of liberties during this month (especially concerning clothing preference and alcohol intake). Scholarly travelers could take this opportunity to learn more about the often misunderstood Islamic culture.